With the help of a construction expert, you will be able to take proper steps to resolve the dispute that you are in. When you find yourself already in a dispute, your next step is to know the building dispute resolution process. It is advisable to discuss the process with an experienced and qualified building dispute lawyer. What is a building dispute? These causes may lead to building defects that can be dangerous to the owners or put their lives at risk. So before executing a specific work or finishing a project, it is important to be aware of its causes and avoid a legal conflict in the future. How to Resolve a Building Dispute? There are methods to resolve building disputes and prevent them from escalating further. One method is called Dispute Avoidance Processes (DAP) which could prevent the situation from getting bigger. If DAP does not work and the situation gets bigger, Alternative/ Appropriate Dispute Resolution (ADR) can be the remedy for the dispute and still prevent it from reaching arbitration or litigation stage. Sometimes, there are conflicts that can be resolved between parties. Under DAP, this is possible.  Potential building disputes can be resolved in its earlier stages and DAP can serve as the remedy for an occurring conflict. Before reaching litigation or arbitration, another method to resolve building disputes is the Alternative/Appropriate Dispute Resolution (ADR). Under ADR, there are two procedures that can be applied: Conciliation and Mediation. Just like DAP, disputes under ADR can also be solved between two parties without a third party imposing a decision on them. In conciliation, a third party will serve as a conciliator who can only give his/her opinions on that matter that is being settled. He/she may also propose solutions. Moreover, conciliation is the mildest form of dispute resolution. As for mediation, another party will serve as a mediator who, by no means can compel the parties to reach an agreement but, can facilitate negotiations and can also propose solutions. Furthermore, a mediator can comment on each party’s strengths and weaknesses. If a building dispute has escalated and it does not reach an agreement during the ADR phase, the parties may pursue to bring it to arbitration. Unlike in the ADR stage, an independent party called an arbitrator imposes a decision on the matter. The arbitrator somehow acts similarly to a judge and creates binding judgments. Last but not the least, another alternative method in resolving building disputes is through litigation. 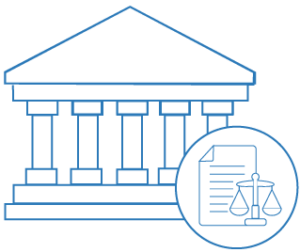 Litigation is done in courts of civil jurisdiction involving a substantial application of certain rules and laws. In this process, a jury and a judge give a determination. A jury decides based on facts while a judge decides based on law. Warranties are commonly referred to as Home Building Compensation Fund insurance or Home Warranty Insurance. It covers the homeowner in events that the work is incomplete, defective, when the builder dies, disappears or when there are insolvencies. As for building defects, the insurance covers up to 6 years for structural defects and 2 years for non-structural defects. Contracts often outline how to resolve a dispute. A properly written construction contract would include building dispute resolutions in case these situations occur. It is important that the solutions for possible disputes are clear for both parties. Moreover, inclusion of building dispute resolutions in a building contract entails preparedness for whatever consequence. Building inspections are advised to avoid any future building dispute or, if they are already in a situation, in their building dispute resolution. Preferably, homeowners should hire highly experienced independent building inspectors. They are responsible for checking building defects that can be dangerous or put the occupier’s life at risk. Moreover, these defects only result to misunderstandings and legal disputes. There are two government bodies in NSW that handle building dispute resolutions: NSW Fair Trading and NSW Civil and Administrative Tribunal (NCAT). These agencies are composed of construction law experts who can help and guide contractors and owners reach a decision in their building dispute. NSW Fair Trading is a division of the Department of Finance, Services, and Innovation (DFSI) that protects the rights of consumers and advises on ethical practices to businessowners and traders. Homeowners and builders may ask for the assistance of NSW Fair Trading if they could not resolve the dispute between themselves. NSW Fair Trading could assist in the initial stages of the conflict. They may act as mediator between parties in the building dispute resolution process. NCAT offers a wide range of services including dealing with matters related to building and construction. This tribunal was established upon the legislation of the Civil and Administrative Act 2013 on January 1, 2014. 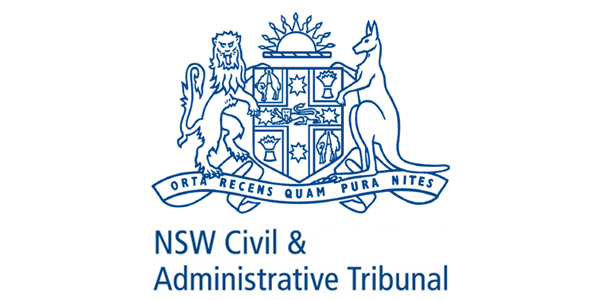 If parties still do not reach an agreement or come up with a resolution to their dispute, even with the intervention of mediators, the NSW Civil and Administrative Tribunal or known as NCAT may step in. 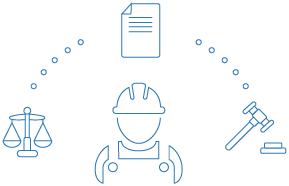 With the help of NCAT’s legal experts in construction, they could provide assistance in the building dispute resolution process of the owner and the contractor. There are legislations that ensures quality work with residential buildings and protects the right of contractors and suppliers to get paid. These are the Security of Payment Act and Home Building Act. The Security of Payment Act ensures that any person carrying out construction work and supplying materials should receive progress payments. If clients are unable to pay them or does not satisfy the work done, the builders have the right to suspend work and apply for adjudication. Payment disputes are common in the building and construction industry. Some payment issues that usually happen are late payment, short payment, and non-payment. With the help of a construction lawyer with expertise on Security of Payments, builders will be able to recover their debts as quickly as possible. The Home Building Act regulates home building work around New South Wales. The Act outlines the minimum requirements of a building contract. Moreover, the Act gives some sort of protection to the builders as it requires insurance in residential building projects and statutory warranties for the builders. In addition, the Home Building Act guarantees safety among homeowners as it requires licensed builders to do the work. Licensed builders can ensure quality work and avoid building defects that can result to building disputes. 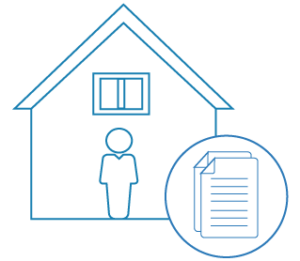 In building disputes, there are certain events that can be guaranteed insurance under the Home Building Compensation Fund. Stated below are situations that can be covered by insurance in relation to building dispute resolutions. Has their licence suspended by the NSW Fair Trading for non-compliance with a money order made in favour of the homeowner by the NCAT or court. Major building defects: The HBCF covers up to 6 years since the completion of the project. Minor building defects: The HBCF covers up to 2 years since the completion of the project. 20% of the contract price if there is failure in completing the work. HBCF can provide up to $300,000 per dwelling if it is issued before February 1, 2012 and up to $340,000 for other policies. Overall, the topics discussed are necessary knowledge especially for builders and homeowners involved in building disputes. This aims to provide the basics of what they need to know in resolving building disputes. For a more detailed and clear process of building dispute resolutions, it would be advisable to consult with an expert or a lawyer specialising in building and construction.